Universal biking mapholder fitted with rotating board supported by the original MIRY mapholder frame, which totally inhibits vibration of the board, even when riding in extreme terrain. The frame is produced on special CNC controlled machines, and is made from light aluminum alloys. The mapholder is attached to the bars by special collars, which are delivered as a part of the whole mapholder. Mapholders are compatible with all standard handlebars of both 25,4 mm, 31,8 mm and 35,0 mm diameter (measured in the proximity of the stem). The mapholder with adjustable slant is fixed with the board in the height of approx. 12 cm above the handlebars which makes map reading much easier. The two-level system enables adjusting of the distance between the mapholder and a biker. Rotating board of the mapholder is made from tough plastics, which do no become tender even at very low temperatures. 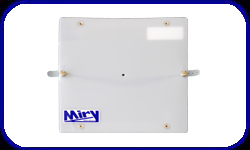 The plastic foil is attached to the board by special, easily attachable EASY PRESS patents. Rotating stiffness is infinitely adjustable. 9WR - (22.5 x 22.5 cm, 9 x 9 inches) is suitable for tourism, children and can be also used as a reserve training map-board. The 9-inch size of the board, in combination with optional eccentric placing, allows for watching the cyclocomputer while riding. 10WR - (25 x 25 cm, 10 x 10 inches) this map-board, together with its "big brother", is the world's most popular model. It is suitable for cyclotourism, Adventure races, mapping, and in case of contrary weather conditions, also for MTB-O. 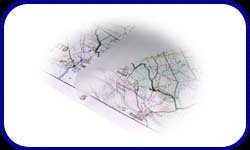 A4WR - (21.5 x 30.2 cm) is suitable for all maps printed on the A4 sheet of paper. 11WR- (27.5 x 27.5 cm, 11 x 11 inches), currently the best selling model. Used for the same purposes as the 10WR model with the advantage of using larger desktop. 12WR - (30 x 30 cm, 12 x 12 inches), special competition model, for events where big working area is necessary. The best use is during Long distance, Scorelauf and Adventure races. 14/12WR - (35 x 30 cm, 14 x 12 inches), special competition model, for events where biggest working area is necessary. The best use is during Long distance, Scorelauf and Adventure races. A4SL - (21,5 x 26,0 cm) is a first-class MTBO racing model designed for A4 maps. 11SL - (27,5 x 27,5 cm, 11 x 11 inches) is a first-class racing model designed for MTBO. 12SL - (30 x 30 cm, 12 x 12 inches), first-class MTBO racing model designed for Long distance and Scorelauf races on A3 maps. Model WR (Weather Resistant) is universal and suitable for special MTB-O and Ski-O maps, as well as ordinary tourist maps. The desk-foil, as the name WR suggest, protects the map against contrary weather conditions, against mud flying off of the front wheel or sweat dripping from biker's forehead. The plastic foil is removable, and thus can be easily cleaned and the mapholder can be transported attached to the bike fixed on the roof of the car. Model SL (Super Load) is designed for special maps printed on separate sheets, which are used in MTB-O events. The advantage of the model is that the map can remain unfolded, in its original size, and the whole desktop can be enlarged by extension over the edges of the board. The desk-foil, as the name Super Load suggests, allows quick insertion of the map and than mooving with the map while riding, saving you from its lengthy folding. 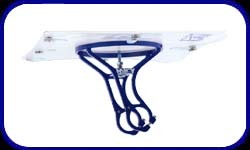 The plastic foil is removable, and thus can be easily cleaned and the mapholder can be transported while attached to the bike fixed on the roof of your car. 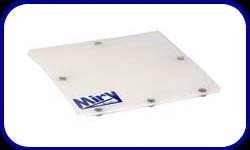 Optional screws which enable mounting of any MIRY BIKE PRO mapholder to the handlebars free of tools. 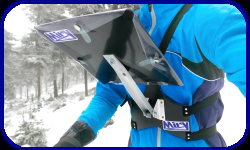 Superlight mapholder for ski-orienteering fitted with a rotating board, hinged and withdrawable lightweight telescopic arm, light adjustable straps, and of ergonomic shape adaptable to shapes of both male and female bodies. Tipping and drawing out of the arm is infinitely adjustable. 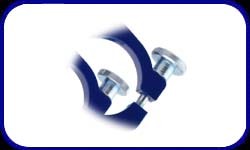 The arm of the mapholder is made from superlight aluminum alloys and fitted with teflon bearing. The part touching the chest is coated in soft wrapping and fitted with five-point attachment system securing the maximum stability and comfort. Model WR (Weather Resistant) is universal and suitable for special Ski-O maps, as well as ordinary tourist maps. The desk-foil, as the name WR suggests, protects the map against contrary weather conditions. The plastic foil is removable, and thus can be easily cleaned and transported. Model SL (Super Load) ) is designed foe special maps printed on separate sheets, which are used in Ski-O events. The advantage of the model is that the map can remain unfolded, in its original size, and the whole desktop can be enlarged by extension over the edges of the board. The desk-foil, as the name Quick Load suggests, allows for quick insertion of the map in the mapholder saving you from its lengthy folding and unfolding. The plastic foil is removable, and thus can be easily cleaned and transported. 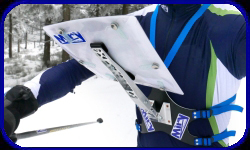 Special mapholder for ski-orienteering fitted with a rotating board, hinged and withdrawable telescopic arm, adjustable straps, and of ergonomic shape adaptable to shapes of both male and female bodies. Tipping and drawing out of the arm is infinitely adjustable. 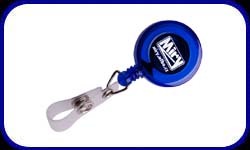 The arm of the mapholder is made from light aluminum alloys and Teflon bearing. The part touching the chest is coated in soft wrapping and fitted with five-point attachment system securing the maximum stability and comfort. 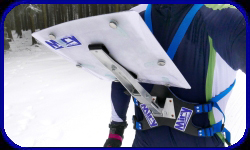 Basic mapholder for ski-orienteering fitted with a rotating board, hinged telescopic arm, adjustable straps, and of ergonomic shape adaptable to shapes of both male and female bodies. Rotating board of the mapholder, 26 x 24 cm, un-replaceable WR foil style. The board is made from tough plastics, which do no become tender even at very low temperatures. The plastic foil is attached to the board by special, easily attachable EASY PRESS patents. Model WR (Weather Resistant) is universal and suitable for special maps used in MTB-O and Ski-O, as well as for ordinary tourist maps. The desk-foil, as the name WR suggest, protects the map against contrary weather conditions. The plastic foil is removable, and thus can be easily cleaned and transported. Model SL (Super Load) is designed for special maps printed on separate sheets, which are used during MTBO and SKI-O events. The advantage of the model is that the map can remain unfolded, in its original size, and the whole desktop can be enlarged by extension over the edges of the board. The desk-foil, as the name Quick Load suggests, allows for quick insertion of the map in the map-board saving you from its lengthy folding and unfolding. The plastic foil is removable, and thus can be easily cleaned and transported. Universal SI-card holder fitted with back-spinning mechanism. JOJO PRO is newly equipped by metal ring which prevent getting stuck of the string while heaved in. Self adhesive transparent anti reflex plastic foil is used for significant enhancement of water resistance and mechanical ruggedness of the map. Foil protects map against rain and other extreme conditions, or can be used to save old torn maps. Is sticky to whole superficies and is sold as footage 61 cm wide.